Fraser Analytical Services delivers a full complement of forage/feed testing and evaluation services not previously available in Western Canada. As a producer, feed manufacturer, nutritionist or researcher, Fraser Analytical Services (FAS) is here to meet your analytical needs. FAS is a satellite facility of Cumberland Valley Analytical Services (CVAS) located in British Columbia’s Fraser Valley. Our primary focus is providing rapid turn-around of forage and feed analysis by Near Infrared Spectroscopy (NIR). Through our partnership with CVAS and use of expanded equations we are able to provide nutrient evaluations not traditionally available by NIR to the Canadian feed industry. Innovation and rapid adoption of new technologies have allowed CVAS to become the United States’ largest provider of chemistry based evaluation for forage. CVAS is now regarded as the industry leader in in-vitro digestibility services while also providing one of the most complete offerings for NIR forage evaluation. Thanks to our partnership with CVAS and our proximity to the US border, FAS provides rapid turnaround on samples while eliminating the cost and paperwork usually associated with sending materials to the US. For available Services and pricing, please see the FAS Pricing Guide Sept 2018. Please note: we are a satellite lab of CVAS. CVAS bills monthly in USD. 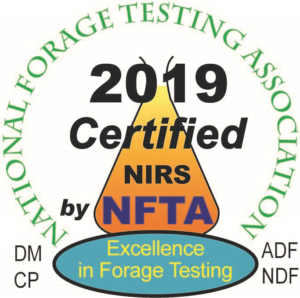 FAS is certified by the National Forage Testing Association (NFTA) for NIR analysis.